WARSAW — Almost exactly a year removed from the signing by Gov. Eric Holcomb to establish a fifth court in Kosciusko County, four candidates are finishing up the application process and awaiting news on who will be given the gavel of Kosciusko Superior Court 4. The following is the second of four profiles on the four candidates for the judgeship, which is scheduled to begin adjudicating cases July 1. Lindsey A. Grossnickle, a deputy prosecutor in Whitley County, has an extensive history related to the judiciary. 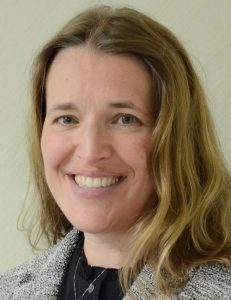 Grossnickle graduated from Alma College in 1997 with a bachelor’s degree in English and political science and followed that up at Valparaiso University, where she earned her law degree in 2000. She is a registered family law mediator. In addition, she is a co-coordinator for Judicial Detention Alternatives Initiatives in both Kosciusko and Whitley counties. Grossnickle said workload on the county’s current core of judges made the addition of another court a necessity. Grossnickle said her law experience could play well into the role of the new court. The Whitley County-based attorney added that as a judge, she will be responsible for settling cases when both parties coming before her have failed to find a resolution. Grossnickle said if selected, she hopes to enjoy a lengthy tenure on the bench.